The new year is always a time for hope and anticipation of change. However, I've had a rough start to 2013 but I'm ignoring it in favor of reading and.........reading challenges. Last year was the 1st time I participated in a reading challenge - the Goodreads 2012 Reading Challenge to be exact. I had pledged to read 40 books and completed 74. Yea me! Now that I have a blog dedicated to what I do best - reading, I've discovered all sorts of fascinating reading challenges for the coming year and I'm ecstatic at the prospect of joining every single one of them! LOL! Not a smart idea since I work full time, am a single mom of 2 teenagers and really enjoy reading and blogging but there are a few that have really caught my attention. Obviously the first challenge I'll be participating in is the Goodreads 2013 Reading Challenge. Since I read 74 books last year, I am challenging myself to 75 books this year. I can always up the ante! In this post I will just be outlining which challenges I'm going to participate in. In seperate posts over the next week I will give a list of what books I plan to read (except there won't be a list for my 2013 Goodreads Reading challenge). It's possible as the year goes on that lists will change but that's what awesome about these challenges, anything goes and nothing is set in stone. Each blogger's challenge link is highlighted under their button (if a button was available) so I hope you will join the fun and challenge yourself this year! I've been in a quandary over which one to select. I read a lot of Victorian and Medieval historical fiction and romance novels. For now I believe I will select the Medieval challenge as it is one of my favorite periods in history. Bloody, harsh and full of legends and we mustn't leave out the fact that authors love to spin a good romantic medieval yarn. 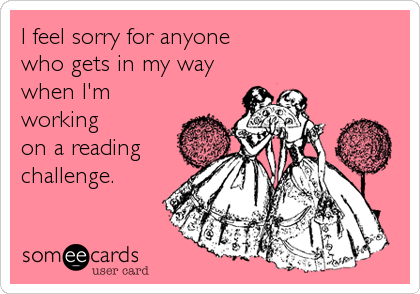 This challenge is a cinch and will be a pleasure - read 5 romance novels of any kind. So you can read historical, contemporary, paranormal etc. any will do. Since historical romance is my favorite of all time to read, I'll obviously be selecting those types of books. In fact, I've already read 2 regency romance novels this year. I've just not blogged about them yet, but I will soon. I'm choosing the Luck o' the Irish level (6 books). 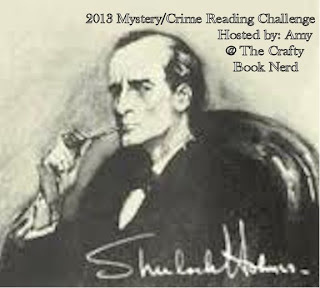 I love a good mystery or crime novel so I have to participate in this challenge. Plus, a lot of the historical romance novels I read double as a mystery. Amanda Quick novels are the perfect example. The Crafty Book Nerd is also creative, she has attached fun titles for you to earn depending on the number of books you read in this genre. I'd love to be Sherlock Holmes but even I know that would be setting myself up to be the villain in this piece instead of the heroine! I'm selecting Sergeant and dedicating myself to reading 10 novels in the mystery/crime genre. What's great about this challenge is the Crafty Book Nerds rules are easy and one in particular that I haven't ran across is her condition on novellas. Read 5 novellas to equal 1 full length novel. I like that, as I do read a number of novellas each year. Her other rules are simple and straight forward. One of the best things about these challenges and participating is getting to meet others who read the same genre of novels you enjoy. There are so many books out there & sometimes weeding through them to find something you may or may not find interesting or that will hold your attention can be time consuming and frustrating. Reading other bloggers reviews are helpful. Plus, I just like meeting people who read the same stuff I do. I rarely run across anyone in a bookstore or on the street with my interests. Plus, participating in multiple challenges doesn't mean you read more and bog yourself down, a book can easily cross credit to all challenges or just two, depending on which ones you participate in. I would have also liked to participate in a reading challenge highlighting the classics but only found challenges focusing on novels the blogger selected that she wanted to read for the year which you are welcome to read along with her during the designated month. Unfortunately, that's not really what I'm looking for. I hope you all will participate in a reading challenge. Who knows in the future I may host my own but for now, I'm going to enjoy taking part in the 5 challenges posted above. Wish me luck, I just may need it! Carrie, I'm super excited about the Ireland Challenge, so thank you for your kind welcome! I can't wait to get started, in fact, I downloaded onto my Kindle my first book for this challenge tonight by Irish author, Anya Wylde! 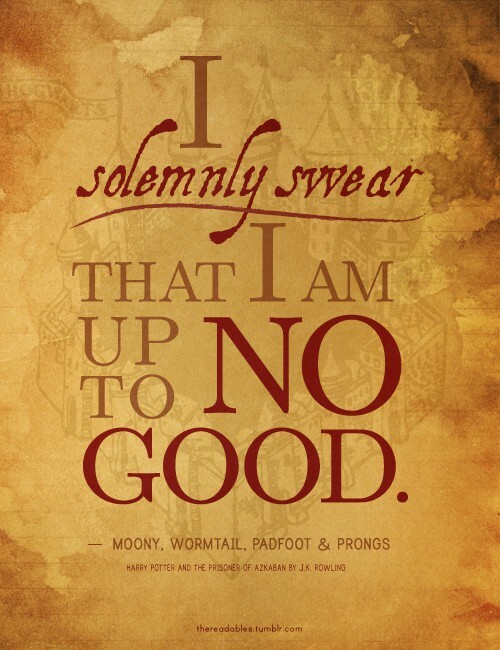 Kelly, so glad that you will be reading along with us over at The Crafty Book Nerd in 2013! Thank you Amy, this is going to be a huge challenge for me and I'm going to take the opportunity to read some fun stuff I haven't taken the time to read so far like Agatha Christie, Ian Fleming and Sir Authur Conan Doyle - I have an amazing list planned out! I'm glad to be apart of your challenge! Good Luck with your challenges. 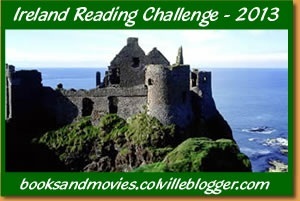 I am in the Goodreads challenge and the Historical Fiction challenge. I may look into some of your other ones. The Romance one seems doable for me. Thanks for stopping by my blog! You're welcome Pat, I love your blog! I'll be back to see what you're reading too because I like finding new books and we have similar tastes. The romance challenge is definitely going to be fun! I love a good Regency or Historical romance! LOL! Thank you Bookworm, I devour romance novels!! Thank you for hosting the challenge, it's going to be a pleasure. I'm looking forward to it and meeting new bloggers as well! Oh, and your photos are amazing!